United States Volcanic Eruptions, Over the last 6,372 Years. | Chaos Sweeps Away the World We Know! The Disaster, current events & Catastrophe Blog. Forecasts for 2014 to 2022. Read tomorrows news today! Plus current economic, commodities, stock indices and financial news. United States Volcanic Eruptions, Over the last 6,372 Years. 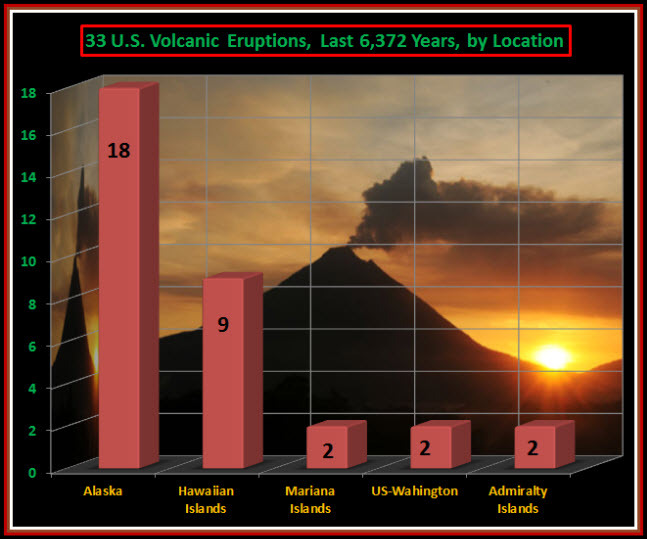 July 15, 2013 – Significant Volcanoes of the United States Over the last 6372 Years, by State: I downloaded all significant volcanic eruptions from 4650 B.C. to 2012 and graphed the 33 that occurred in the U.S. by State (above). Over half (18) occurred in Alaska, nine in Hawaii and two each in the Mariana Islands, Washington State and the Admiralty Islands. The Mariana Islands were acquired during WWII and are composed of two U.S. Territorial Jurisdictions: (1) The Commonwealth of the Northern Mariana Islands and (2) The Territory of Guam. Both Asuncion and Sarigan (picture above) are located in the Philippine Sea. 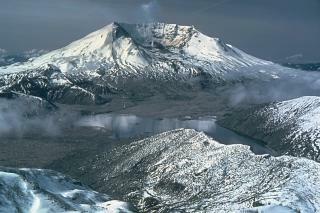 The volcanic eruptions listed for Washington State are the same volcano – Mount St. Helens (picture above). The 1860 B.C. eruption was a colossal VEI 6, while the much studied May 18, 1980 eruption was a powerful VEI 5. 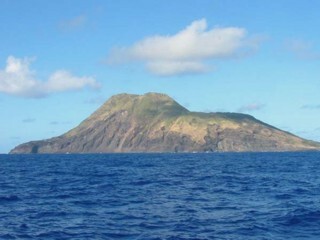 The Admiralty Islands (pictured below) are a group of about 40 volcanic and coral islands in the SW Pacific. 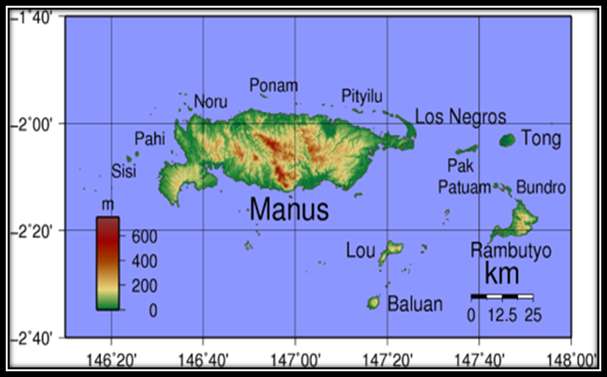 They are part of Papua New Guinea, in the Bismarck Archipelago; with the largest island by far being Manus. The U.S. maintains a military base there, which was established during WWII. Near the base, in St. Andrew Strait, a volcano erupted in 150 B.C. and on June 27, 1953. The nine Hawaiian Island eruptions were as follows: Kilauea – 7, Mauna – 1 and Hualalai – 1. These nine eruptions occurred as early as 1790 and as late as February 10, 2010. 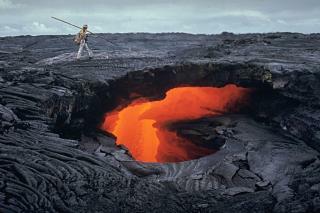 Of those three Hawaiian volcanoes, Kilauea (picture above) is the most famous, with eruptions almost daily. 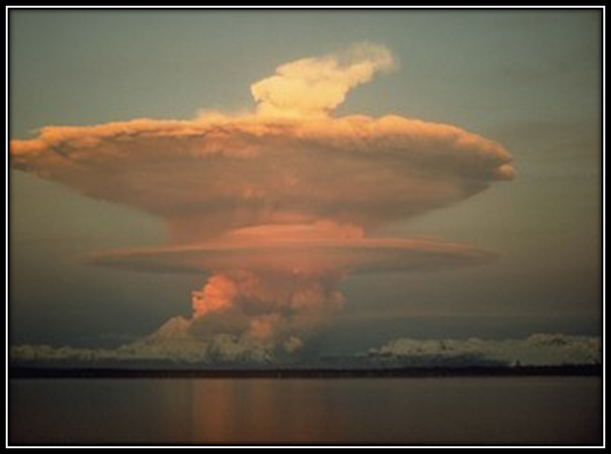 The 18 Alaskan eruptions are divided into four groups as follows: (1) The Aleutian Islands – 6, (2) Alaska SW – 6, (3) the Alaskan Peninsula – 4, and (4) Alaska East – 2. Some of the more famous Alaskan Volcanoes are Augustine, Redoubt and Cleveland. The last Alaskan eruption in the database is from Redoubt (pictured below) on March 23, 2009. (Credits: The Smithsonian National Museum of Natural History, the National Oceanographic and Atmospheric Administration (NOAA), Summary narrative and top graphic – W. G. Foster). This entry was posted in Aleutian Islands Volcanoes, United States, Volcanoes and tagged 33 volcanis eruptions that occurred in the united states - over the last 6372 years, Admiralty Islands, alaska, Mariana Islands, mount st. helens, National Oceanic and Atmospheric Administration, Northern Mariana Islands, The Master of Disaster, United States, volcanic explosivity index. Bookmark the permalink. 6 Responses to United States Volcanic Eruptions, Over the last 6,372 Years. I read that Yosemite is a super volcano well overdue [not sure how the scientists calculate that] for a blow out and that it has the potential to create massive destruction over one third of the U.S. Volcanology appears to be about as reliable as climate change science. You go to one site and they tell you that there is no chance of a catastrophic blow up for at least 1,000, if not 100,000 years. Meanwhile, <a href="http://www.theblaze.com/stories/is-america-headed-for-yellowstone-super-volcano-eruption-catastophe/another site tells you that 2/3rds of the country would be uninhabitable should Yosemite blow and that it is quite possible that it could erupt anytime. They site 3 eruptions over 1.2 million years; the last being just around your beginning point at an estimate of 600,000 years. Any insight on Yosemite? [I’m on the east coast, so I’m not very alarmed for myself, although, it seems that realistically, were it to erupt as the second source states, no one would really be safe. I doubt that it will erupt anytime soon, but if it does it would it would make Krakatau, Tambora and St. Helens look like childs play. The entire planet would be catrostrophically alterned forever. It would be a global disaster of biblical proportions! Thanks for the update/reply. This stuff fascinates me. You are welcome. This stuff fascinates me too. I live in Mooresville NC and our land is full of lava rocks. We live around 2 hrs from Boone NC which is the closest mountains to us. So my question is where and how long ago did this volcano erupt. Now when I say alot of rocks I mean A LOT…..Thank You Julie Cantrell.